Cry No More, Bloody New Year is finally available on Blu-ray. Norman J. Warren’s Bloody New Year is a strange, often poorly-plotted film about time warps, ghosts, a 1959 New Year’s Eve party, punks, and a group of five friends who strangely stumble into all of these scenarios. Warren – no stranger to directing low budget horror films like Inseminoid and Prey – blends slasher film tropes with supernatural haunted house tales for a movie that, on paper, sounds like an insanely fun time. Unfortunately, an incredibly rocky script from Frazer Pearce and some poor pacing can’t elevate Bloody New Year to so-bad-it’s-good status. Instead, it’s a pretty frustrating watch from start to finish. At least it opens with an exciting series of bad luck moments for the five characters. Lesley (Suzy Aitchison), Janet (Nikki Brooks), Spud (Daniel James), Rick (Mark Powley), and Carol (Catherine Roman) are headed out for a fun boating excursion, stopping at a local fun fair first and finding themselves the target of three hooligans (Steve Wilsher, Steve Emerson, Julian Ronnie) after the group save Carol from a nauseating game of tilt-a-whirl. They crash through the spookhouse, cause tons of mayhem to the fun fair, and eventually end up sinking their boat on the lake and swimming to a serendipitously close island that features a deserted hotel decorated for Christmas and New Year’s Eve. From there, the fun begins as poltergeist activity, random ghostly maids, and the band Cry No More appear to plague the group. Pearce’s script has a bunch of ideas going at once, and the beginning of the film barely stops as event after event takes place. This is easily the best part of the movie – the catchy Cry No More soundtrack keeps things light while our rather underdeveloped cast of characters get themselves into all sorts of trouble. Once the kids make it to the Grand Island Hotel, though, the plot stagnates. Warren tries to throw in some loose exposition, like a TV broadcast of scientists announcing a new experimental plane has taken off in 1959, but ultimately Bloody New Year never really cements its storyline until the very end, when Carol and Rick get a full explanation from one of the ghosts: the plane caused a time warp, and now everyone on the island is a ghost or something. None of it makes much sense, especially as inanimate objects begin to come alive and kill everyone. The pacing is truly the biggest misstep, although Pearce’s excruciating dialogue doesn’t help things either. Bloody New Year has a number of interesting ideas – a guy who pops out of a movie, Evil Dead-esque zombies, the ’50s scientific experiment gone awry – but none of them really come together, and the events are too dispersed to really have much impact on the audience. Unfortunately, Bloody New Year had the potential to be an enjoyable mess, but it misses the mark too often to wholeheartedly recommend it. 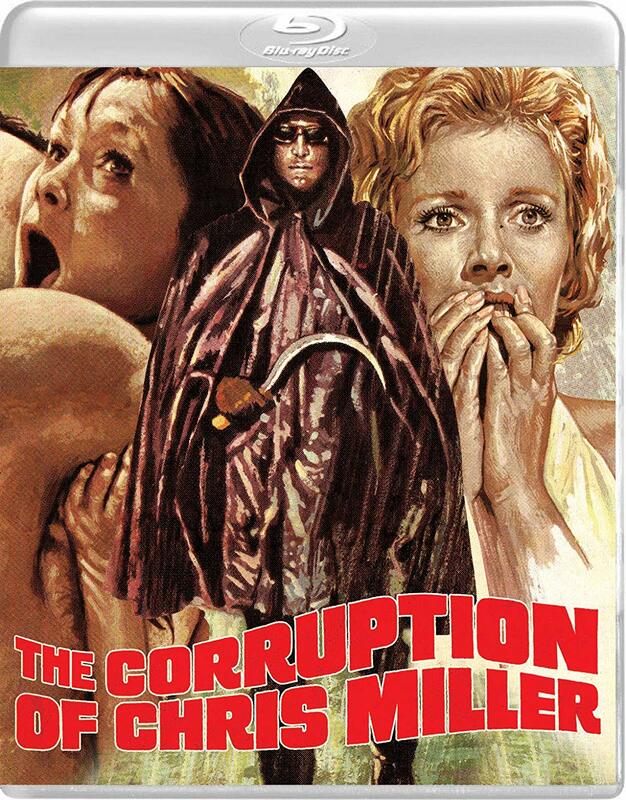 Vinegar Syndrome have gone out of their way to provide a new Blu-ray release for the film, though. Before the film begins, a note about the transfer appears: due to the destruction of the original film negative, Vinegar Syndrome was forced to use the only surviving print for this release, and they’ve noted that due to age and storage the quality is less than ideal. There are a number of problems with the picture, including wobble, discoloration and inconsistent color timing, burns, tears, a consistent series of lines throughout, and other grit and debris that occasionally makes its way into the feature. Despite that, though, Vinegar Syndrome has done a remarkable job with this 2k transfer – clarity and detail is still quite good, and they’ve managed to clean up what they could to a high degree. This is also presented in the correct 1.85:1 aspect ratio; a previous release from Redemption had presented it incorrectly. Overall, an impressive transfer from less-than-ideal conditions. Audio is presented in DTS-HD Master Audio 1.0 and it sounds fine, although there are some areas with notable distortion and muffling. The sound effects and soundtrack do come through nicely, though. English subtitles are also included. Extras are slim but this does include an audio commentary with director Norman J. Warren, who is very quiet throughout much of it but provides some information about the film amid periods of silence. No trailer included on this disc, nor stills or other standard fare. 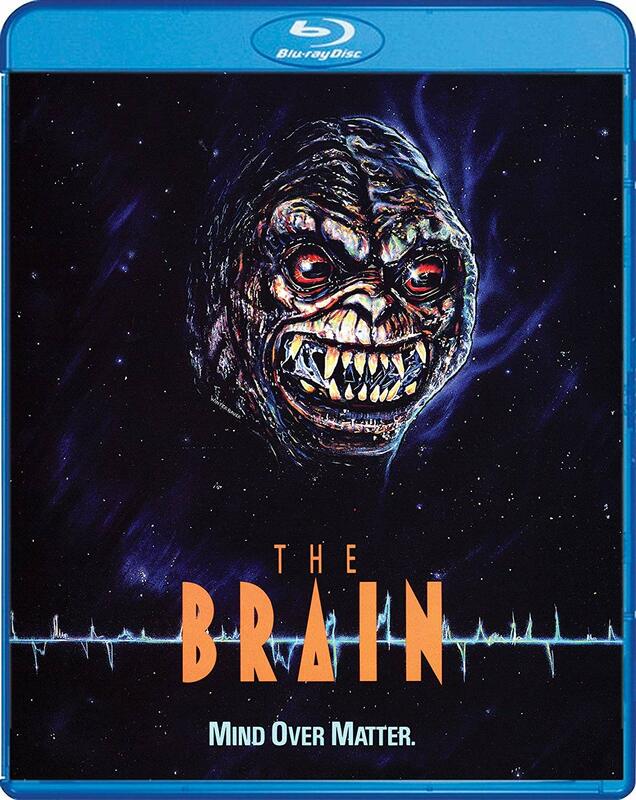 If you get it from Vinegar Syndrome early enough, this does get a slipcover as well as alternative cover artwork. Overall, Bloody New Year is really not a great film, but those curious about this supernatural slasher should definitely pick up Vinegar Syndrome’s Blu-ray, since it is probably going to be the best way to watch this film despite some damage. Bloody New Year has some interesting supernatural slasher elements but its pacing is poor. Vinegar Syndrome has released probably the definitive Blu-ray for this film despite a lack of extras.